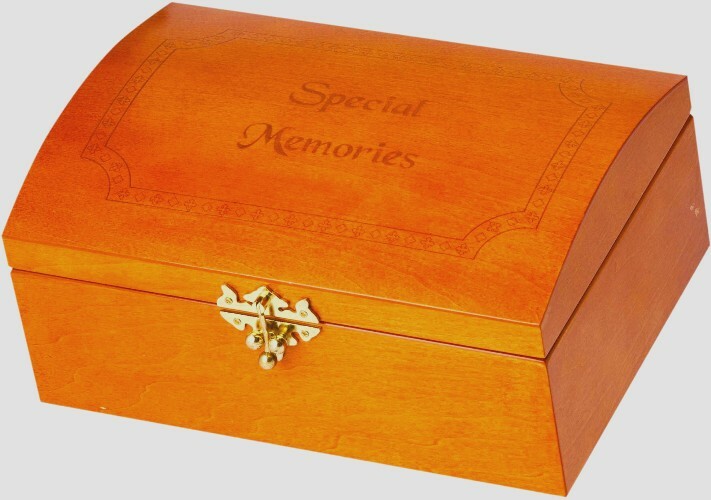 This classic special memories box is made with a beautiful etched design on the lid. 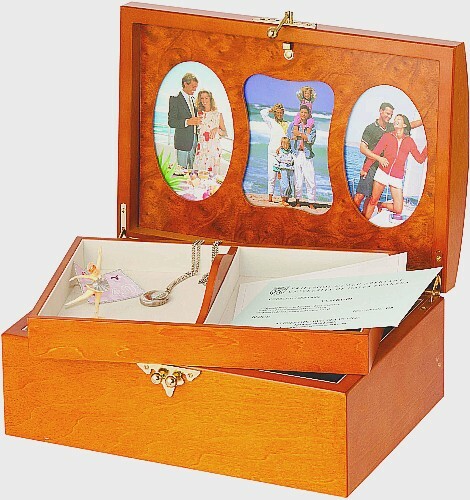 The special memories box has a place for photos inside and compartments for different types of items keepsakes and memories. 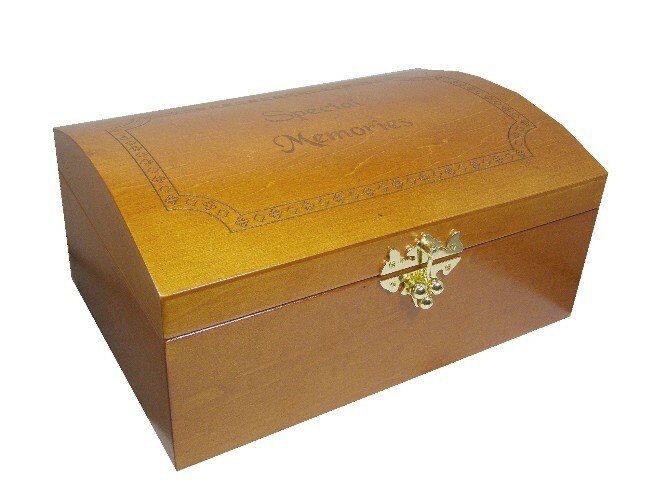 The special memory box has an opening lid and lift out tray so that you have plenty of room for all your memories or trinkets etc. 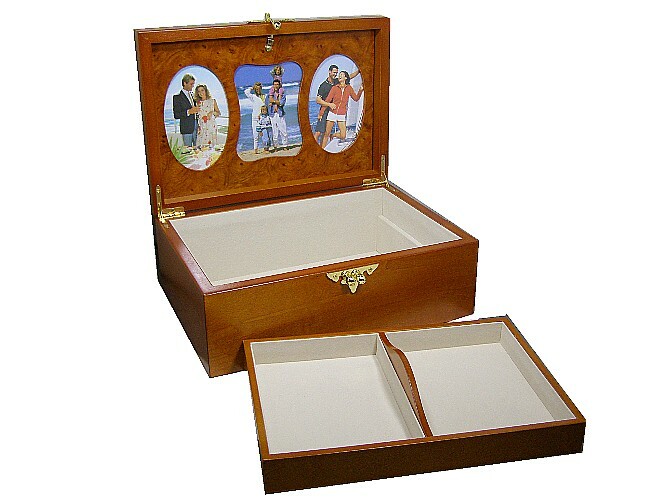 Approx Size : 290 x 200 x 134 mm. 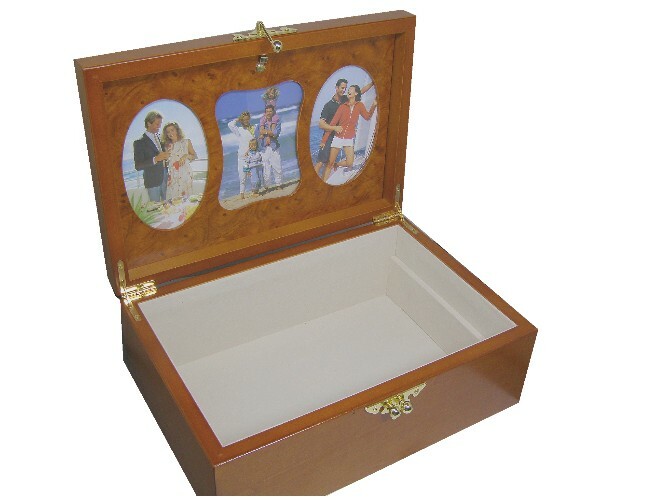 Please note this childhood memory box is not musical.